Drink a toast to the Federation! 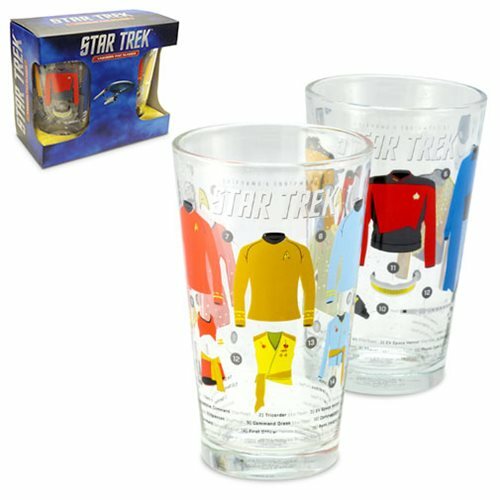 From Star Trek: The Original Series and Star Trek: The Next Generation comes this set of 2 pint glasses featuring minimalistic art prints of the various crew uniforms and accessories of the respective shows. The glasses even include a numbered key identifying the crew rank and which timeline is appeared in. Care Instructions: To preserve the vibrant colors of the decal hand wash, air dry is recommended. Microwave safe. Recommended for cold beverages only.